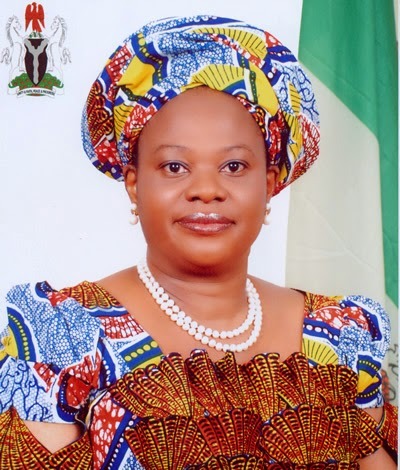 Prof. (Mrs.) Dora Nkem Akunyili, former Director General of the National Agency for Food and Drug Administration and Control (NAFDAC) and former minister of Information, is dead. According to a family source, Isaac Umunna, Media Advisor to Prof. Dora Akunyili confirmed that Akunyili died in an India Hospital where she has been receiving treatment for an undisclosed ailment. Also former governor of Anambra, Mr Peter Obi, on Saturday confirmed the death of the former minister, on behalf of the Akunyili family. According to Obi,” On behalf of the Akunyili’s family, I wish to officially confirm the death of Prof. Mrs Dora Akunyili in a Specialist Cancer Hospital in Indian this morning at 10 am, Nigerian Time, after a two-year battle with cancer. “In spite her illness, she was unwavering in her belief in a better Nigeria. That was why she defied her condition and was part of Anambra State Handover Committee and the National Conference. “The last time I visited her in India, even when she needed all the prayers herself, she was full of concern for Chibok girls, security and other challenges facing the country and told me that she remained prayerful for the release of those girls and for God to help President Goodluck Jonathan to overcome all the challenges facing the Nation. She therefore urged all Nigerians to remain prayerful and committed to building a better society for our children. We all prayed together and I promised to be visiting her every month. Prof. Dora Nkem Akunyili (OFR) was born in Makurdi, Benue State (Nigeria) on the 14th of July 1954 to Chief & Mrs Paul Young Edemobi. She is a devout Catholic and is happily married to Dr. J.C. Akunyili, a Medical Practitioner and they are blessed with six children and three grandchildren. Her hobbies include reading, writing, cooking and travelling. She speaks Igbo and English fluently. Administrator, and a visionary leader. She has served her country in numerous strategic positions including as Director-General of the National Agency for Food and Drug Administration and Control (NAFDAC) and Federal Minister of Information and Communication. Prof. Akunyili’s educational career started with her passing the First School Leaving Certificate with Distinction in 1966, and the West African School Certificate (W.A.S.C.) with Grade I Distinction in 1973 (both in Nigeria), which earned her the Eastern Nigerian Government Post Primary Scholarship and the Federal Government of Nigeria Undergraduate Scholarship respectively. It is remarkable that throughout her high school career, Dora Akunyili was always top of her class – a record that has never been broken in the school to date. She got her B.Pharm (Hons) in 1978 and PhD in 1985, both at the University of Nigeria Nsukka (UNN). Prof. Akunyili won the best student award in the school of Pharmacy in her very first year in the school and the Vice Chancellor’s Postgraduate and Research Leadership prize in Faculty of Pharmaceutical Sciences for 1984/85 and 1985/86 academic Sessions. She was promoted to the rank of Professor of Pharmacology in October, 2000 by the same University. Prof. Akunyili started her working career as a Hospital Pharmacist in the University of Nigeria Teaching Hospital (UNTH) Enugu in 1978. In 1981, she ventured into Academics as a Graduate Assistant (Research Fellow) in the Faculty of Pharmaceutical Sciences, UNN. In the University system, she made a steady progress from lecturer I in 1986 until she was made Senior Lecturer in 1990. In 1992 she transferred to the College of Medicine, UNN and became a Consultant Pharmacologist in 1996. She also worked as a part time lecturer at the West African College of Pharmacists, Lagos, Nigeria from 1992-1995. She was appointed Supervisory Councilor for Agriculture in Anaocha Local Government of Anambra State, Nigeria from 1994 – 1996. Prof. Dora Akunyili was appointed Zonal Secretary of Petroleum Special Trust Fund (PTF), where she coordinated all projects in the five South Eastern States of Nigeria from 1997 – 2000. Prof. Dora Akunyili was appointed Director General of the National Agency for Food and Drug Administration and Control (NAFDAC), Nigeria from April 2001-2008. Here she recorded outstanding success. Prior to her appointment, food and drug regulation in Nigeria was chaotic. All manner of adulterated, fake and substandard food and drugs were dumped into Nigeria resulting in over 60 percent of fake drugs in circulation. Unscrupulous individuals made fortunes from such unwholesome practices. When she assumed office, she brought in a new culture of excellence and honesty to NAFDAC and the entire Nigerian public service. As a result, the level of fake and counterfeit drugs in circulation dropped to 16.7 percent with vast improvement in the food and other regulated sectors. From December 2008 – December 2010, she worked as the Honourable Minister of Information and Communications, Federal Republic of Nigeria. As the Honourable Minister, Prof. Akunyili anchored the Re-branding Nigeria Project driven by the slogan, Nigeria Good People, Great Nation. The programme was conceived as an internal process to address Nigeria’s negative image both at home and abroad. Dora has proved her versatility in all areas of human endeavour as she also ventured into politics when she aspired to serve her own people in Anambra State as a Senator of the Federal Republic of Nigeria. As a Scientist and a Scholar, she has presented over 600 papers delivered in various Local and International Conferences, published 4 books and written scientific articles published in 37 local and international journals. She also supervised PhD and Masters candidates. Prof. Akunyili has held several positions of responsibility in Nigeria as a professional in the course of her career. She served in six Senate Committees and various Faculty of Pharmaceutical Sciences Committees of the University of Nigeria, Nsukka from 1986 –1992. From 1992 to 1994, Prof. Akunyili served as a member of Anambra State Hospitals Management Board and State Advisory Council for Women Commission. She has also served the Pharmaceutical Society of Nigeria (P.S.N.) in various capacities, notably as the National Vice President of Association of Lady Pharmacists (1992-1995) and President of the Enugu State Branch from 1992-1998. Internationally, as Director General of NAFDAC, Prof. Akunyili was appointed Chairman of West African Drug Regulatory Agencies Network (WADRAN) in March 2006 and as Vice Chairman of the International Medical Products Anti-Counterfeiting Task Force (IMPACT) in November 2006. She is a Post Doctorate Fellow of University of London, Fellow of the West African Post Graduate College of Pharmacists, Fellow of the Pharmaceutical Society of Nigeria (PSN) and member of other learned societies, a few of which are New York Academy of Science, International Narcotics Control Board, United States Pharmacopeia (USP) Expert Committee, Association for African Medicinal Plant Standards (AAMPS), Global Alliance for Improved Nutrition (GAIN), Medicines for Malaria Venture (MMV), and International Council for Control of Iodine Deficiency Disorders (ICCIDD). Conferment with the National Order of the Federal Republic (OFR) and Recognition as an Icon of Hope for Nigerians by President of the Federal Republic of Nigeria, Chief Olusegun Obasanjo(2002); Person of the Year 2005 Award by Silverbird Communications (2006); Nigeria’s Five Greatest Living Legends Award by Silverbird Group and Vanguard Media (Dec. 2009); Recognition as Nigerian Woman of Distinction during the Nigeria @50 Independence Anniversary Celebration (Sept. 2010); and as Minister of the Year 2010 by Nigeria Royalty Award (Dec. 2010). Integrity Award by Transparency International in South Korea (2003); Honoured as one of the 18 heroes (Health) of our time by TIME Magazine, New York (2005); Grassroots Human Rights Campaigner Award by Human Rights Defence Organization (International Service) in British House of Commons (2005); Special Award for Combating Economic Crime by International Chamber of Commerce-Commercial Crime Services London (2004); Amazon of Integrity by National Council of Women Society (2004); Pharmacist of the Year Medal Award by International Pharmaceutical Federation, FIP (2005); Honourary Degree of Doctor of Laws by University of Bristol, London (2006); Honorary Georgia Citizen by The State of Georgia, USA (2006); Agribusiness, International Euro Market and Transbusiness Awards respectively for 2003, 2005 and 2006 by European Marketing Research Centre (EMRC), Brussels; Elected Honourary Member of The Royal Pharmaceutical Society Of Great Britain, London, by The Royal Pharmaceutical Society Of Great Britain, London (2008); Conferred with the prestigious Harmony Tribute Award by Planet Africa Television Canada (2010). Related story: Dora Akunyili honoured in U.S.
Video - Is negotiating with Boko Haram an option?